Just prior to the turn of the century Norfolk & Western released their first album Centralia. Adam Selzer, the lone man behind the moniker N&W had just opened a recording studio called Type Foundry. Since he had recently moved to Portland and didn't know too many musicians yet, the newly "open to the public" studio's humble beginnings saw many unclaimed dates. It was at this time that he invited his old college friend M. Ward down to Portland from Seattle to begin working on his first solo album Duet for Guitars. The two friends played almost all the instruments on each other's albums and shortly there after they began working their next albums; Ward's End of Amnesia and Norfolk's Winter Farewell. The first two N&W albums were mellow, sparse recordings relying on moody atmospherics and folk ideals. It was at this time that Selzer's studio began picking up steam becoming one of the most popular studios in Portland. He moved into bigger digs and began recording numerous bands including The Decemberists with whom N&W would then support on a US tour. Norfolk was invited to tour in Europe in support of Sparklehorse (for the It's a Wonderful Life tour) in 2003 and upon their return home they recorded Dusk in Cold Parlours for HUSH Records. The band had begun to solidify, anchored by Rachel Blumberg (of the Decemberists) on drums. Dusk proved to be a bit more poppy than the previous records. Many songs still maintained the band's sullen sound but the arrangements were more fleshed out and Blumberg's drumming, singing, and writing collaboration had come to the forefront. They had invited friends to fill out the sound live and in the studio but the band at that time consisted of Selzer and Blumberg at the core. They toured all over the US in support of the record and shortly thereafter Selzer and Blumberg joined M. Ward's touring band for the Transistor Radio tour. Norfolk & Western also supported all the US and European dates on the tour and upon their return home the band took a decent sized hiatus. A couple of years later, in 2006 the band came back strong by releasing a 7 song EP (A Gilded Age) and a an LP (The Unsung Colony), both on HUSH Records. Dave Depper had become the everyday bass player and an important musical collaborator in the band. Norfolk & Western had shed a lot (but not all) of their folk and mellow ideas while trading them in for a more rock and pop sound. Both 2006 releases were filled with lush string and horn arrangements along with loud distorted guitars, accordions, saws, theremins, banjos and pedal steels. 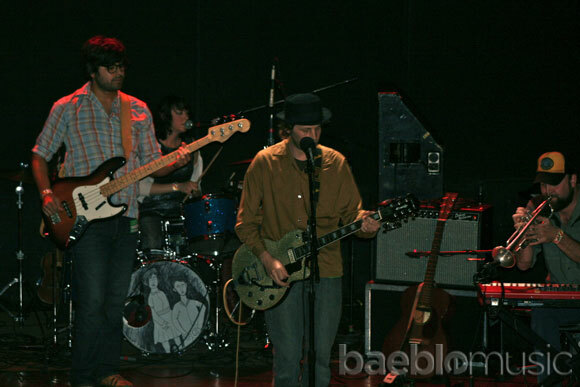 The three main members of the band (Selzer, Blumberg & Depper) wrangled in a young Peter Broderick to place his stamp on the new recordings and he was subsequently drafted into the band for the upcoming tours. It was Broderick's first endeavor into the curious world of touring. In the fall of 2006 they traveled all over the US on a support tour with Devotchka. Upon returning home, the band decided to take a break and pursue other endeavors. Selzer & Blumberg joined M. Ward again for the Post War tour and Blumberg went on to tour the world over drumming for Bright Eyes in support of their album Cassadaga. Depper had joined Loch Lomond who was busy recording and touring. Broderick was embarking on his successsful and prolific solo career all the while moving to Denmark to join Efterkleng. Selzer was hard at work in the studio recording such acts as Jolie Holland, Mirah, She & Him, Laura Gibson, Alela Diane, The Builders & the Butchers, Langhorne Slim, Peter Broderick & of course M. Ward. Selzer also continued his role as bassist & guitarist for Ward on the Hold TIme tour. In the fall of 2007 Norfolk & Western regrouped and headed over to Spain for a festival. While there they decided to do some recording outside of Selzer's Type Foundry Studio to breathe some fresh air into a new record that had just recently begun. They headed down to Paco Loco's studio in Puerto de la Santa Maria and recorded six songs. 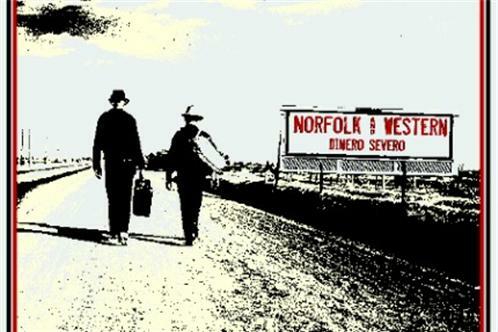 The band then worked on the record throughout 2008 and 2009 at Type Foundryand completed the new album Dinero Severo. The record has much more of a band sound as it was recorded mostly live with much less overdubbing than on previous efforts. The band wanted to make a record that was both immediate and one which they could accurately represent live. Everyone can hear the record in the spring of 2010 when 3 Syllables, out of England, will release the record.